I AM SO IMPRESSED BY YOU RIGHT NOW. 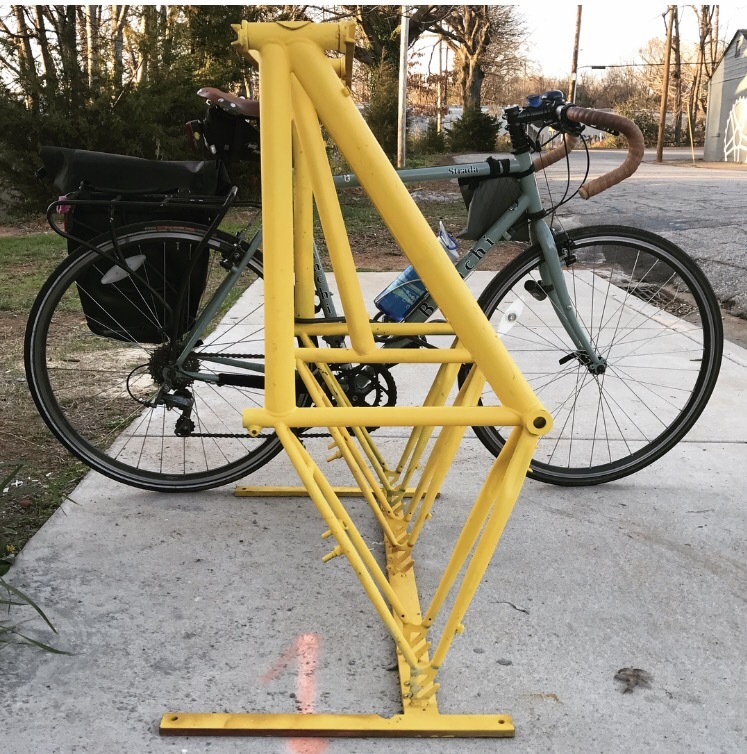 After listening to a recent episode of the Happier podcast that discussed the joy of “hunting” for something, I realized that my “quest” is finding fun and unique bike racks. This one in the West End of Greenville is quite possibly my favorite so far. Genius! Edit to add: bikes. The bike rack is made of bikes. I often have a hard time succinctly conveying all of the reasons we should support public transit in our communities and country… this post says it so well that I should probably just memorize it. Voices for Public Transit is a great organization to follow for policy and research updates! How powerful is urban design? This fantastic article from The Guardian is from 2013, but I somehow just came across it today.. and promptly ordered the full book in print so I can take a highlighter to what will probably be every page. Just think of this story about the 25th infantry. Be sure to read the epilogue, too. Fascinating bit of history, with some bicycles mixed in.